New York Life Insurance Company has launched a series of financial protection workshops for parents in the largest Latino markets across the United States to coincide with Hispanic Heritage Month and Life Insurance Awareness Month – a month devoted each September to reminding Americans of the need to include life insurance in their financial plans as a way of protecting their loved ones. Blueprint for Financial Success, which provides suggestions on ways to build strong financial foundations at home. 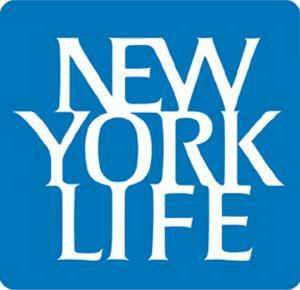 Some of the cities where New York Life is hosting these seminars include Greater New York; El Paso, San Antonio, Austin, McAllen, and Corpus Christi, TX; as well as various locations throughout California; New Jersey; Washington State; and South Florida. A study released this month by the Pew Foundation found that Hispanics have been hit the hardest by the recession when compared to other ethnic groups. According the study, the median wealth of Hispanic households fell by 66 percent from 2005 to 2009, compared to just 16 percent for whites. Because of this breach on household wealth, New York Life Insurance Company is poised to serve the financial planning needs of the growing Hispanic population through highly trained and educated financial professionals who are sensitive to the cultural nuances of the market and who are working to educate Hispanics about the many financial planning resources available in their communities. For a list of cities, dates, times and locations, please contact Monica Contreras, Corporate Vice President of New York Life Insurance at (212) 576-8398.